We offer a full range of property management services tailored to you as an investor, homeowner, or landlord. We have an extensive portfolio of multifamily properties, single family homes, townhouses and condos in the Chicagoland area. After acceptance of the property, we perform an initial evaluation of your property and make recommendations to help make sure it meets current state and local property codes and it is in the proper condition to lease. Using a comparable market analysis and other resources, we will suggest a rental rate for your property with the goals of obtaining the optimal dollar amount the market will bear based on current market conditions, keeping vacancy periods short and increasing your return on investment. Throughout each tenancy, we schedule the property to be visually checked for possible concerns so the condition of the property can be maintained and remain in compliance with state and local property codes. 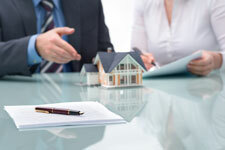 This also gives us an opportunity to determine the tenant’s compliance with the lease and their care of the property. We use proven, yet cost-effective, means for advertising properties so they get more exposure to potential tenants and therefore, a better opportunity to lease sooner. Your property would be listed on www.GreenwoodRents.com and other reputable online listing websites for general public viewing. As members of the Multiple Listing Services (MLS), we would place your property where thousands of real estate agents search for available rental properties. Additionally, we maintain professional yard signs with minimal but pertinent information to capture the attention of passers-by. Scheduled showings of the property through a showing service help us determine the current interest in and obtain feedback about the property. New applicants - New applicants are required to submit an extensive application allowing us to review income, credit and residential history and perform civil and criminal background checks. This information is used to screen applicants against strict qualifying standards which are within compliance of Federal Fair Housing laws and to obtain qualified and potential long-term tenants. Current tenants – the tenant’s payment history, lease compliance and property upkeep are some of the factors taken into consideration before a renewal is offered. 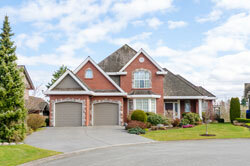 A comparable market analysis is used to help determine the current renewal rate. Our attentiveness to tenant’s questions and requests as well as maintaining the condition of the property also play a part in giving the tenant incentive to accept a renewal. Earned Run Property Management will hold all tenant security deposits in an escrow account in accordance with state and local laws. The lease between the landlord and tenant states the legal terms of the agreement and is in place for the protection of both the landlord and tenants. We take this agreement seriously and use various methods to help tenants remain compliant with the lease, providing protection for the client’s investment and income.